When you are dressing up in steampunk style for a formal event, make sure you have stunning Neo-Victorian accessories to complement your look. 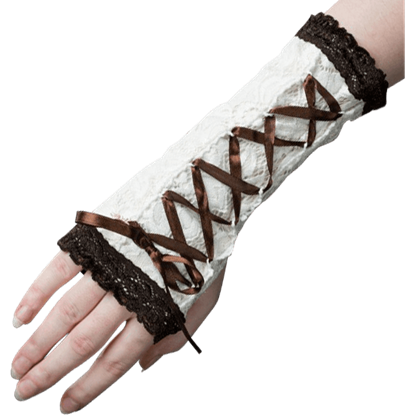 The Lacy Steampunk Glovettes make a fantastic finishing touch to elegant ensembles. The steampunk aesthetic frequently adopts items from the burgeoning mechanical and steam power technology used in the Victorian era. 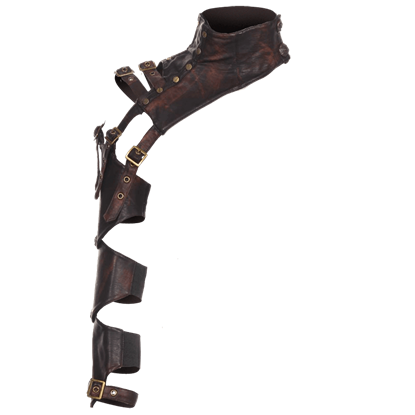 The Steampunk Arm Band shows a design of gears and screws along its middle. 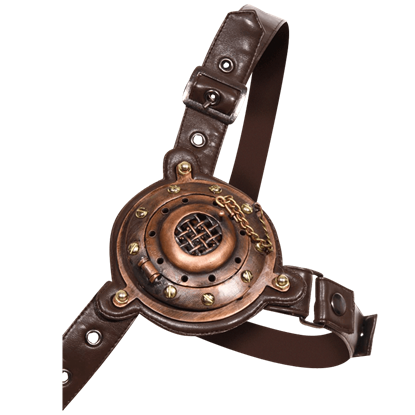 When you are on the go and need to add some functionality to your stylish steampunk ensemble, this belt can serve as a useful accessory. 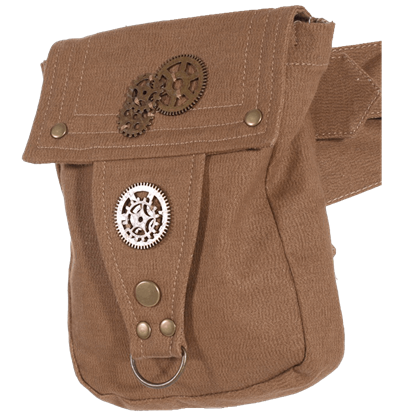 The Steampunk Belted Pouch supports a pocket at your waist, perfect for storing necessities. 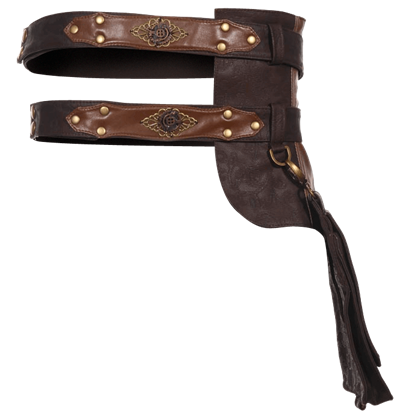 Emphasize your trim waistline while reveling in steampunk style while wearing this thick, leather-like belt. 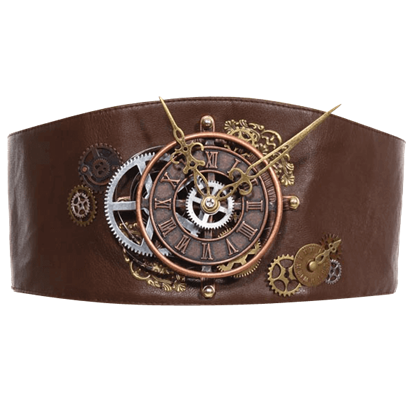 The Steampunk Clock Belt supports an exposed clock face and its inner workings as its ornate hands point to the time. Steampunk fashion includes a variety of creative accessories that range from elegant Victorian to exotic science fiction. The Steampunk Heart Chest Piece leans a bit towards the second type with its decorative mechanical heart. Let your imagination fly with this steampunk accessory that adds fantastic realism to any neo-Victorian attire! The Steampunk Illuminating Chest Piece wraps across your torso and shoulder to rest a round device atop your breast. 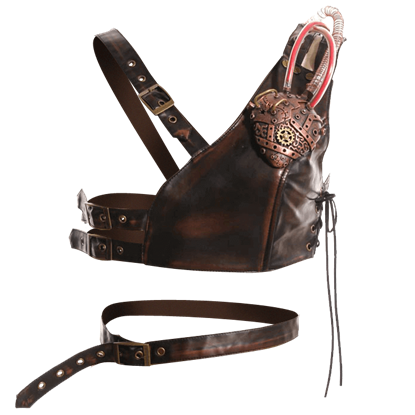 If you need a functional accessory when you are on the go in your steampunk ensemble, consider giving this belt bag a try! 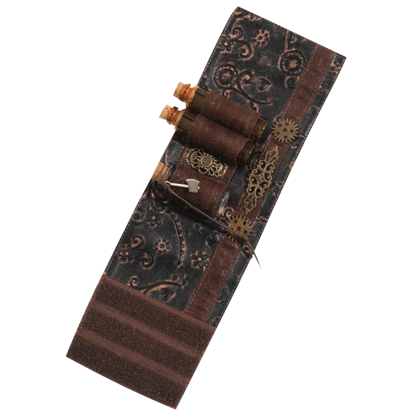 The Steampunk Leather Belt Pack supports a pouch that is perfect for holding your necessities. When you are want to adopt a steampunk style that is all your own, give this unique accessory a try! The Steampunk Long Neck and Arm Warmer surrounds your neck like a collar before continuing all the way down one arm. Combining the appeal of science fiction and the Victorian aesthetic, steampunk makes a fun and unique style for your attire. 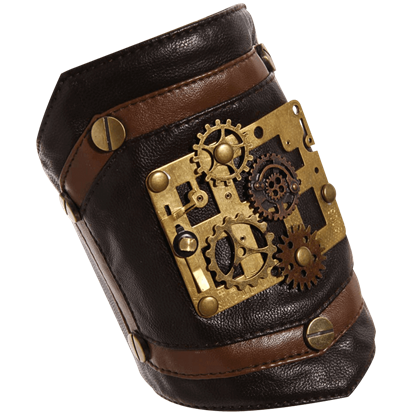 The Steampunk Phial Wristband provides a fantastic accessory to add to your latest ensemble. When you want your steampunk ensemble to stand out from all the rest, you will need to find the perfect accessories to accompany it! 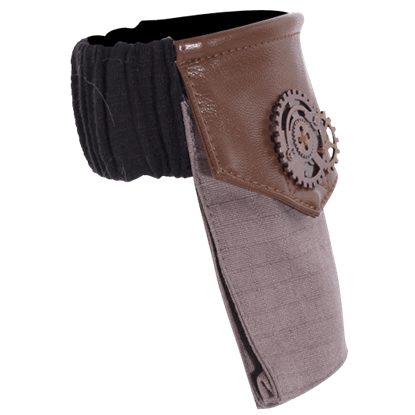 The Steampunk Pocket Arm Band combines functionality and style into its design. As a stylish option for showing off your trim middle, this waist cinching belt offers a stylish and flattering accessory. The Victorian Lacy Canvas Cincher Belt features a lovely lace overlay over its soft canvas material.